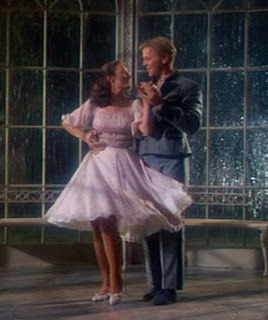 Look at any photo taken at a nightclub in the forties and fifties; many a flabby upper arm can be seen going to town on the dance floor, no doubt its owner feeling just fine about her appearance. Today we gasp because we are constantly told that unless a body part is toned it should be kept, like the crazed wife of Mr. Rochester, locked away to keep from offending the new governess." Don't Tell Me How To Dress! Men have them, women have them. I speak of the highly contentious concept of "figure flaws." How, exactly, can a figure be flawed? We're not talking factory seconds here, we're talking about bodies, our own bodies, and every one is different; we come in all shapes and sizes. 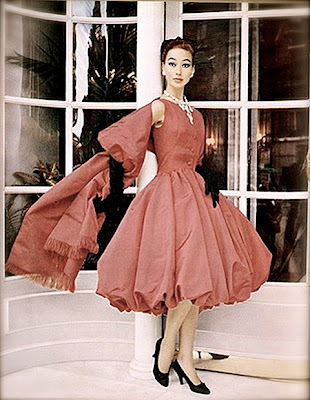 Fashion and Surrealism + John Rawlings! Readers, it's hard to imagine today, but there was a time when putting a lobster on a dress was seen as pretty out there. You've probably heard about Schiaparelli's famous dress (pictured up top), and perhaps know that there's a big show at the Metropolitan Museum of Art here in New York comparing Schiaparelli and Miuccia Prada, which I haven't seen yet. Today, you could wear an actual lobster and I don't think it would raise too many eyebrows, but such is the world we live in. Readers, do you trust your own taste? I mean, if you don't like something that's popular, do you wonder if you're just too small-town and unsophisticated to get it, or like the boy in The Emperor's New Clothes, are you able to confidently call it like you see it? Labels: clothing and culture, patterns, YEA or NAY? Friends, my apologies for my absence for the last day or two but I've been out of town due to a serious illness in Michael's family. 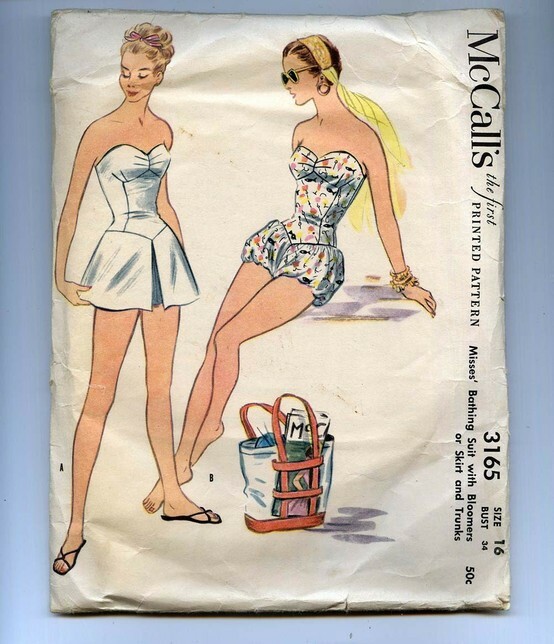 Happily I returned home to find my $12 vintage 1955 swimsuit pattern sitting in my mailbox. Readers, you know how I am: once I get an idea in my head I can't let it go. 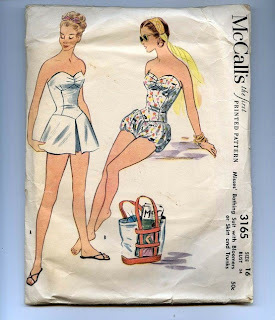 My new obsession is the swimsuit pattern above, McCall's 3165, which I bought yesterday on Etsy for $12 (mine comes in a slightly more beaten up envelope) -- quite cheap for this type of thing. 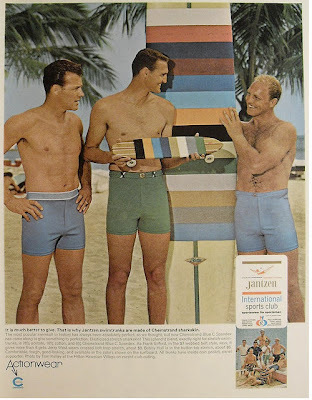 So today's New York Times has an article about the popularity of the vintage pinup aesthetic, "A Sly Wink to Pinups of the Past" by Ruth La Ferla. Do take a look. I know most of you are going to be, like, So what else is new? 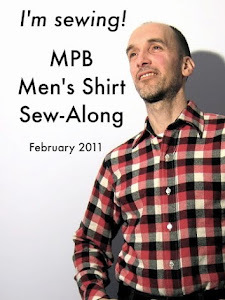 But it's always interesting to see how the mainstream press covers trends, especially a trend that, in sewing-blog land at least, has been around a long time, and probably longer elsewhere. Readers, today I want to talk color. If there were one sewing-related skill I wish I could master overnight, it would be my color sense. I think mine is OK, sometimes even good. But occasionally I see someone walking down the street in an outfit that knocks my socks off, not because of the clothes themselves but because of the wearer's use of color, and I wonder how they do it. 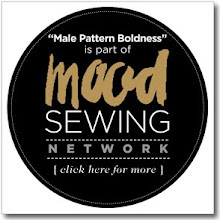 Sewing, Hammers, and Pinterest UPDATE! Friends, to say I have taken to Pinterest like a duck takes to water would be inaccurate, since a duck doesn't actually live in the water, whereas I am having a hard time prying myself away from my new favorite website without gasping for air. Readers, today my rusty, crusty Elna Lotus goes back to British Columbia -- good-bye and good riddance, as they say. While that eBay purchase was a bust, another recent transaction was a success. 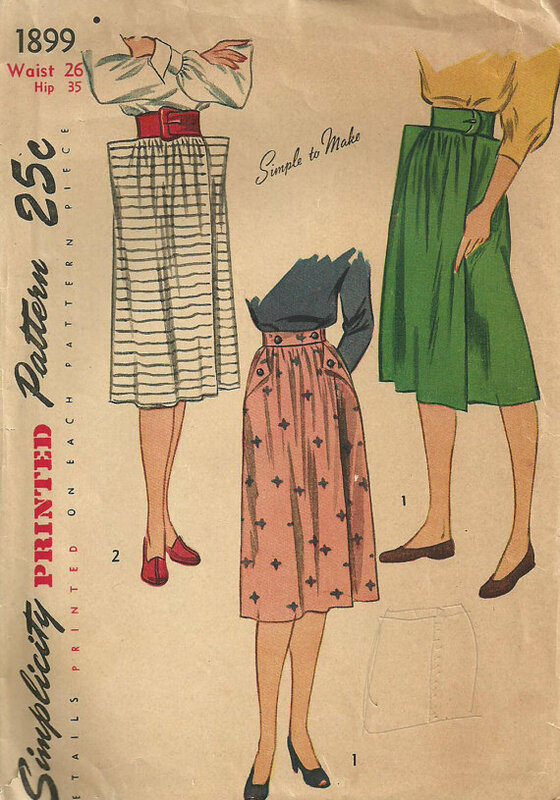 By now most of you are probably familiar with the vintage comic-book style instructional pamphlet "Home Sewing is Easy" by a certain Sally Stitch. Images of it are all over the web, and I nearly fell off my zafu cushion when I saw this creation of Sarah's over the weekend. Elna eBay fiasco or "I Give Myself Very Good Advice..."
Friends, when it comes to buying vintage sewing machines, I am not what you would call a novice. 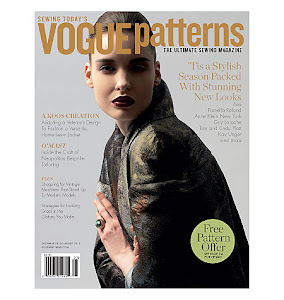 In fact, I have even written a series of articles for Vogue Patterns Magazine specifically about purchasing used sewing machines on sites like eBay and Craigslist -- what questions to ask, what to beware of, and so forth. 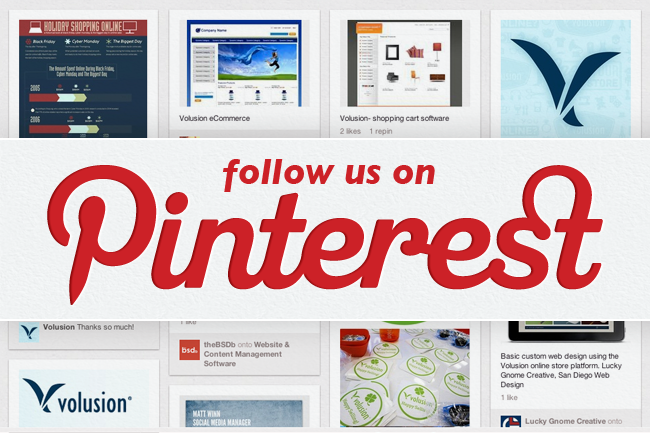 Readers, I know I'm sort of old, but can someone please explain Pinterest to me? Labels: my life, social media, YEA or NAY? Sorriest Pattern Category BY A MILE, or "Slim Pickings"
Readers, have you ever thought about sewing a man's coat in a small size? If so, I have good news for me and bad news you. 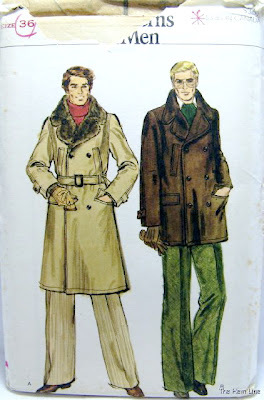 Last Tuesday I scored this fabulous men's coat pattern -- Vogue 9308 (above) -- in a size 36 on eBay for, like, $6 USD. Sorry! So much to cover today, readers, so let's get to it. 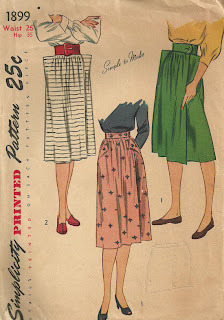 Yesterday I quickly stitched up a muslin of my Style 3263 slip pattern, which you'll recall most closely resembles the original dress my SIL Prachee requested way back when. I have three new (to me) books to share! Friends, there are two kinds of people: those who prefer to buy new and those who prefer to buy old. 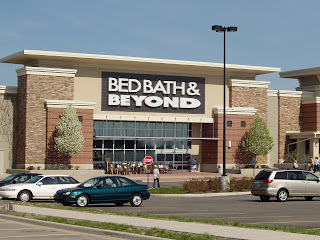 I was in suburban New Jersey this weekend at Michael's parents, and let me tell you -- as if you didn't already know -- the suburbs are full of people who prefer new. 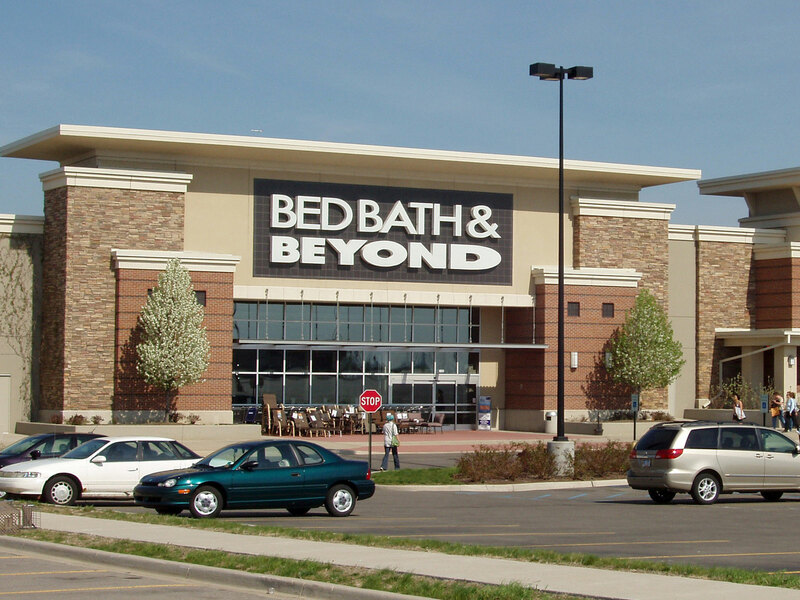 New cars, new houses, new appliances, new stores -- new, new, new. Raw Silk Laundry FAIL + My Interview! Dear hearts and gentle people, occasionally I do something so stupid that, rather than hide it behind a facade of perfection, I put it out there for all the world to see, as a cautionary tale for others. Or perhaps you already knew not to throw three yards of inky raw silk into the same washing machine as your white towels? SIL Dress Project -- He LIKES it! OK, so the SIL dress project (SIL stands for sister-in-law, for those not accustomed to acronyms) is underway, right on schedule. 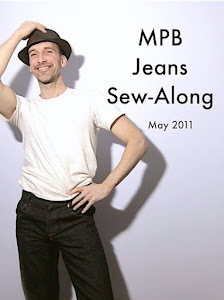 And friends, I have the most awful confession to make, which may be difficult for those of you who have vowed never to sew for others due to feelings of exploitation and abuse at the hands of friends and family: I like it. I mean, it's fun! Matchy-matchy style -- YEA OR NAY? Readers, today I challenge you to dig a little deeper than usual. In fact, you might want to lie down on your couch, close your eyes, and free associate. I want to know how you feel about matchy-matchy dressing. 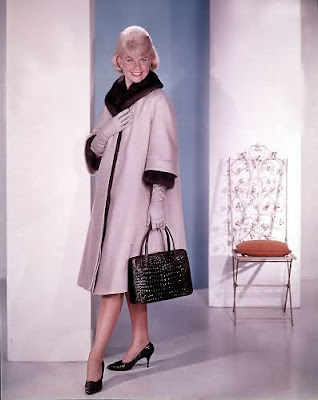 Labels: 50s glamour, 60s glamour, YEA or NAY? Whatever happened to the Singer Featherweight? Sewing machines are a lot like cars. How we feel about them is entirely subjective. Regardless of the official product description or what online reviewers may say, if we like it, we like it and if we don't, we don't.